glad to hear it is working out for ya! I have been diving fairly heavily into X-Wing and SW Destiny, but I have a fair amount of other minis to paint as well. 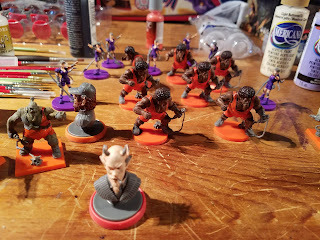 Best of luck with Guild ball and such!!! The GW house paints have gotten a pretty bad reputation over the last few years. Vallejo is cheaper and of a significantly higher quality. If you liked the old GW paint it's still available-it's the P3 line that Privateer sells for Warmachine.